Contrary to the pulse of the blog, we've been pretty busy lately. The water level is as close to done as it will ever be and some recent passes over the rendering have garnered us precious FPS. Soon (TM) there will be a new private beta push to get the earth level into your hands and possibly the polished up water level for you to poke and prod. You guys are still a valuable resource in finding the things we have failed to see. Although we are mainly focusing on level building, we still are taking time to add the remaining features and fill out the shells for things not fully implemented. Don't forget to play around in the menus to see some new things popping up. And now some filler. 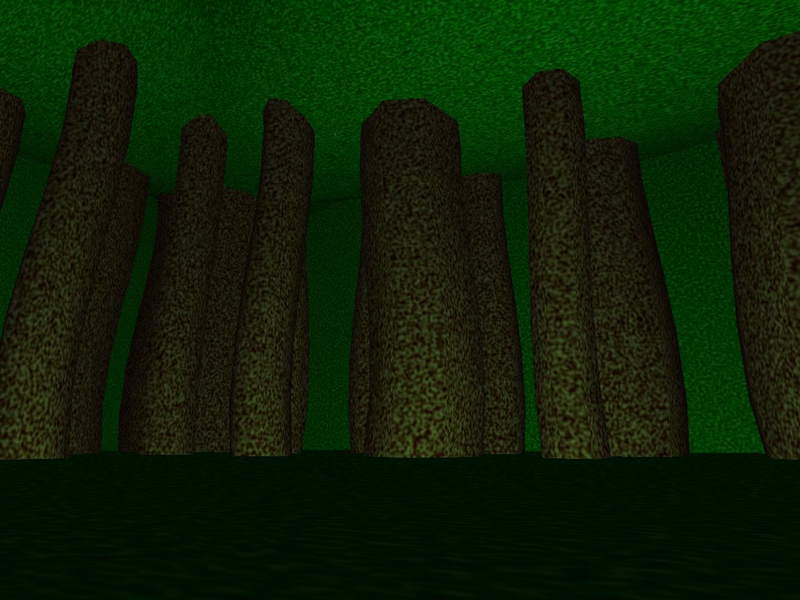 This is the current iteration of the skybox in the earth level. Be amazed by its tree-y glory.